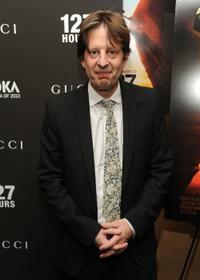 Christian Colson, writer Simon Beaufoy and executive producer Lisa Maria Falcone at the premiere of "127 Hours." 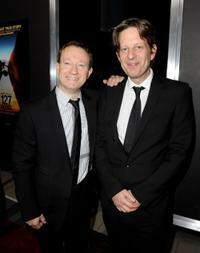 Writer Simon Beaufoy and Christian Colson at the premiere of "127 Hours." Director Danny Boyle, James Franco and Christian Colson at the 14th Annual Hollywood Awards Gala. Christian Colson and Danny Boyle at the 14th Annual Hollywood Awards Gala. 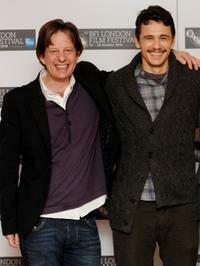 Christian Colson and James Franco at the photocall for "127 Hours" during the 54th BFI London Film Festival. Christian Colson, James Franco and director Danny Boyle at the New York premiere of "127 Hours." 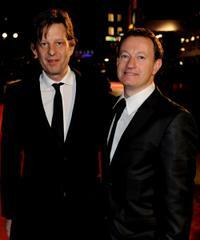 Christian Colson and screenwriter Simon Beaufoy at the European premiere of "127 Hours" during the closing gala of the 54th BFI London Film Festival. Saskia Mulder and Christian Colson at the post Oscar party of "Slumdog Millionaire" and "The Wrestler." Christian Colson, director Danny Boyle and writer Simon Beaufoy at the 2008 AFI Fest Tribute To Danny Boyle. Director Julian Fellowes, Christian Colson and Pete Hammond at the Variety screening of "Separate Lies." Danny Boyle, Dev Patel and Christian Colson at the winners room during the London Critics' Circle Film Awards. 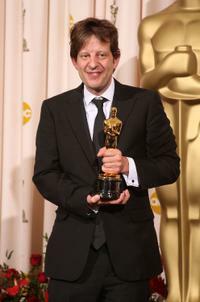 Christian Colson at the press room during the 81st Annual Academy Awards. 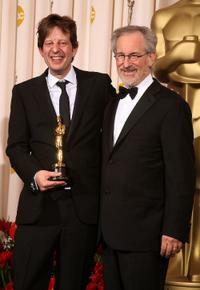 Christian Colson and director Steven Spielberg at the press room during the 81st Annual Academy Awards. Writer Simon Beaufoy, writer/director/producer Danny Boyle and Christian Colson at the premiere of "127 Hours." 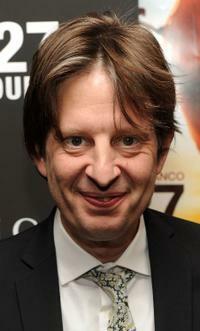 Christian Colson at the New York premiere of "127 Hours."